Ever had a near death experience? Me neither. Are they all the same? It appears not. Many Christians will have an experience of seeing Jesus, or God, and then be shown Heaven. Then they're told it's not their time. I read about Hindu's who see a loved one or a guide and they're told that it's a mistake and that they need to go back. Then I went to one website and it was for atheists who've had near death experiences. Now that sounds pretty interesting, what do they see when they have a near death experience? Nothing? Darkness? The Void? Actually the article stated that they all seem to recognize a being of higher power and experience incredible peace and joy. How can that be, they don't believe in God? Another amazing revelation from that same article: None of the atheists experienced a place like hell, or a dark place. Meanwhile many of the Christians did. How can that be? As explained by so many, like Raymond Moody, or Deepok Chopra, we experience what we believe. So we create our own world after we pass? For a little while at least, or so it appears. There is a little known book that really sheds a lot of light on this called Life Between Life by Joel Whitten. I read it years ago and I still find it to be one of the most thorough books on recording evidence on what happens to us between lives. Dr. Whitten spent many hours regressing many patients to tell what happened "in between" after they passed and before they were born. What about out of body experiences? Is that connected to near death? Well, at least I've had some of those so I can share some experiences. We are hearing more and more people speaking about near death experiences and I'm beginning to think many are accepting that there could be some truth in this. Years ago I read a few books written by Robert Monroe, he wrote a series of books about astral travel. When I was 8 years old I went to a place I thought was heaven, only it was far from it. Thanks to reading Robert's books (and others) I now know where I went, at least I think I do. This also ties into my third topic this week, the 7 levels of consciousness. One other thing, since I posted this I talked with a friend who pointed out that there is a website that talks about atheists who've had dark experiences in near death, he did say that these people were raised with a Christian background so the possibility existed that it could be from their earlier belief system. Regardless, I guess it's our own individual journey and each of us will find out what I awaits when the time comes. Or maybe we can find out now???? How's that paradigm shift holding up for you? Does everything still fit into a neat little box? Are you experiencing the shift and your world doesn't make sense anymore? In 2008 I interviewed Judy Johnson who was representing the Ancient Artifact Preservation Society. They are a group of archeologists who have uncovered some artifacts that just don't fit in with the mainstream way of thinking. There are very obvious signs that North America was visited thousands of years before Columbus. Now, try to challenge conventional thinking, they will laugh at you or make fun of you and even try to put out disinformation to dissuade the public from believing you. Does this sound like a familiar formula regarding all things that we are not supposed to look at? How much longer are you going to continue to believe what you're told without at the very least looking at what others have to say and then making a decision? It's funny, because I haven't listened to this show in a long time, here Judy is talking about the future (2012) as being the beginning as opposed to the end. How accurate she was. This really isn't about rocks, or stones, or points, or iron ore, to me it's more about discovering who we really are. How long have we truly been here? How much of that history has been forgotten or deliberately covered up? The following is a rebroadcast with Judy Johnson from the Ancient Artifact Preservation Society. In this interview we were promoting their 4th conference that was going to be held in Marquette. This year they will be holding their 11th conference at Island Resort in Wilson Michigan in October. Hopefully between now and then I get a more updated interview, sorry I've been a bit busy and think of this as a best of episode. Judy has much to offer beyond just talking about rocks and spearheads. 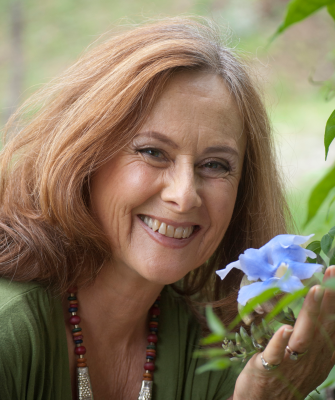 This week Joy and I talk to Flo Aeveia Magdalena and for the first time in an interview she channels Mary Magdalene. Flo wrote I Remember Union, the story of Mary Magdalene. In this interview we find out about Mary's journey and her message, as well as her connection to Jesus. I found this to be a fascinating interview and what has led Flo to do all the work she does with the divine feminine and Soul Support Systems.